Let’s get right to the point. I have a bunch of ties that I’ve worn over the past couple of months, and I need to write about them. Catching up will be one of my New Year’s resolutions, soooooo…my posts may be on the short side for a week or two. 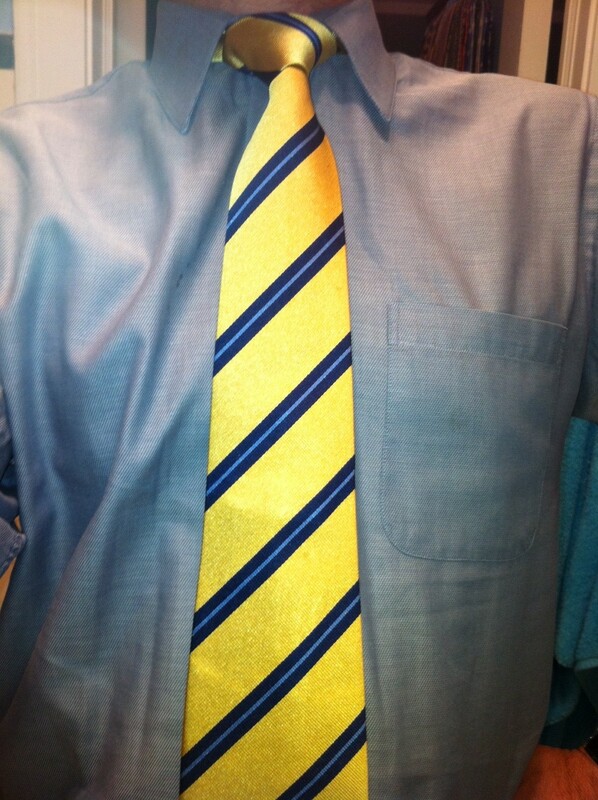 My Tie du Jour is a classic from Turnbull & Asser, a traditional British fashion house. They are recognized by royal warrant, which means they have provided services to a certain member of the British royals for a number of years. In this case, they claim to be “By Appointment to HRH the Prince of Wales.” So, Prince Charles may have worn a tie like this. It oozes quality, with fantastic silk fabric making it knot up perfectly.